Netflix has premiered the trailer for Jeremy Saulnier's latest thriller Hold the Dark. Saulnier's last film was the taut and violent Green Room. The film was written by Saulnier's long-time collaborator, Macon Blair who recently wrote and directed I don't Feel at Home in this World Anymore. 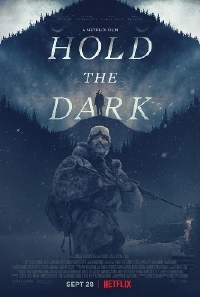 Hold the Dark hits Netflix on September 28.